After qualifying, Skaras had the upper hand in the heats of KZ2, Smal in OK-Junior, Blum in 60 Mini and Rosso in Iame X30. 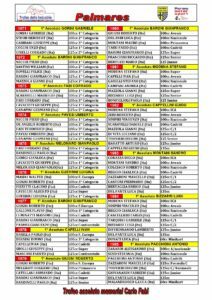 Second chance Races will be followed by Prefinals and Finals in live streaming on Sunday October 28th. 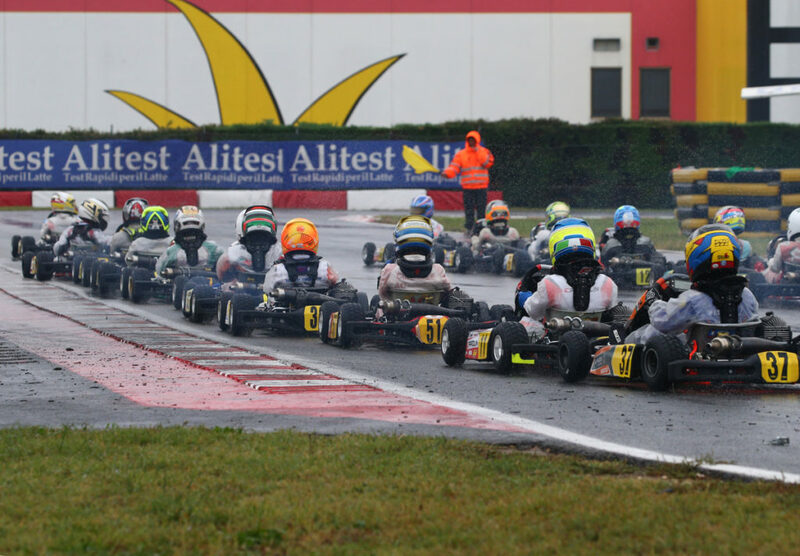 The bad weather that is affecting the north of Italy did not show any mercy on Lonato and the South Garda Karting circuit has been quite tricky on Saturday for the more than 230 drivers that battled out the best starting positions for the final stages of the 47th Trofeo delle Industrie organized by Parma Motorsport on Sunday October 28th. Qualifying named the first protagonists of this trophy in the morning. In the three sessions held for KZ2, the German Alexander Schmitz (Tony Kart-Vortex) was on top in the in 1:01.671s, leading Fabian Federer (Maranello-TM) and the Austrian Christoph Hold (Maranello-Modena), while the Swede Emil Skaras (Energy-Tm) posted a 1:02.033s leading Giuseppe Fusco (Formula K-Vortex) and the other Swede Benjamin Tornqvist (CRG-Tm) in the second. Alessandro Pelizzari (Energy-TM) completed his best lap in 1:02.409s, leading the European KZ2 reigning Champion from France Adrien Renaudin (Sodikart-TM) and Angelo Lombardo (Parolin-TM) in the third session. 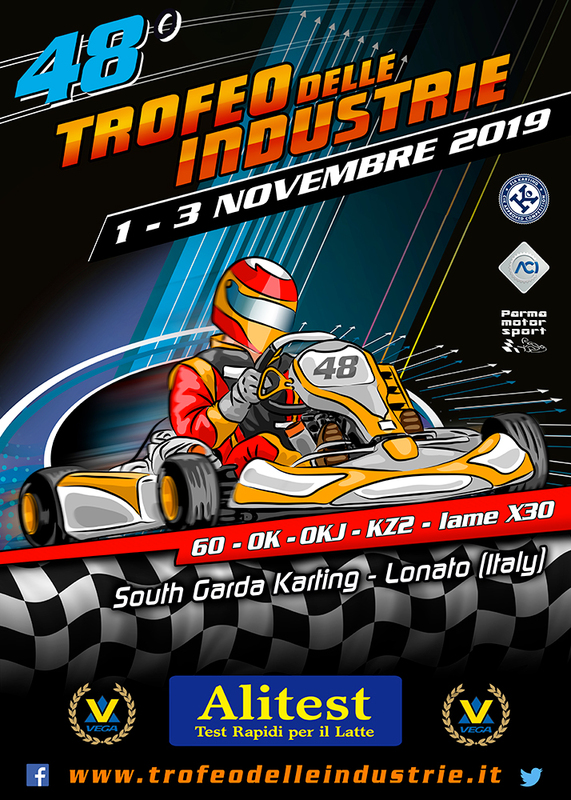 In OK-Junior the best time of the first session went to the Russian Kirill Smal (Tony Kart-Vortex) in 1:04.367s, who led Gabriele Minì (Parolin-TM) in 1:04.683s e the Dutch Dilano Vanthoff (Exprit-TM), while the second session saw the Australian James Wharton (FA Kart-Vortex) topping the charts in 1:04.666s, followed by the Russian Tikhon Kharitinov (Experit-TM) and the Pole Tymoteusz Kucharczyk (Parolin-TM). A great battle was also fought in 60 Mini, where the best performances were put in by the Russian Dmitry Matveev (CRG-TM) in the first session in 1:12.356s, as the Swede Joel Bergstrom (IPK-TM) followed him. The other Russian Alexander Tibekin (DR-TM) posted a best lap of in 1:12.981s and led the Estonian driver Mark Dubnitski (CRG-TM) in the second session. The Austrian Kiano Blum (CRG-TM) went quickest in the third session with a best lap completed in 1:11.810s, while Cristian Bertuca (Parolin-TM) was second. In Iame X30 Senior, Andrea Rosso (Parolin) posted the quickest time of the first session in 1:05.108s, leading Leonardo Sperati (Tony Kart). Alessandro Brigatti (TB Kart) was the first of the second session in 1:05.519s leading Leonardo Caglioni (KR). The Swede Emila Skaras (Energy-TM) had the upper hand in the heats of KZ2 taking three wins, while the other victories went to Fabian Federer (Maranello-TM), Alessandro Pelizzari (Energy-TM) and Alexander Schmitz (Tony Kart-Vortex). The top six: 1. Skaras, 2. Federer, 3. Pelizzari, 4. Tornqvist, 5. Hold, 6. Luyet. The Russian Kiril Small (Tony Kart-Vortex) dominated his two heats in OK-Junior, while the third was won by James Wharton (FA Kart-Vortex). The top six: 1. Smal, 2. Vanthoff, 3. Minì, 4. Wharton, 5. Kraritinov, 6. Soldatov. The Austrian Kiano Blum (CRG-TM) won all his three heats in 60 Mini, while one of the other three wins went to Cristian Bertuca (Parolin-TM) and two to the Russian Dmitry Matveev (CRG-TM). The top six: 1. Blum, 2. Matveev, 3. Bertuca, 4. Bergstrom, 5. Badoer, 6. Irfan. 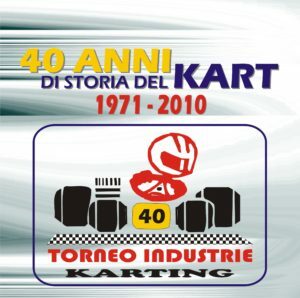 Andrea Rosso (Parolin) won all his two heats of Iame X30 Senior, while Andrea Bristot (KR) won the third. The top six: 1. Rosso, 2. Caglioni, 3. Bristot, 4. Russo, 5. Carenini, 6. Vezzaro.